Tsurphu Monastery is a gompa which serves as the traditional seat of the Karmapa, the head of the Karma Kagyu lineage of Tibetan Buddhism. 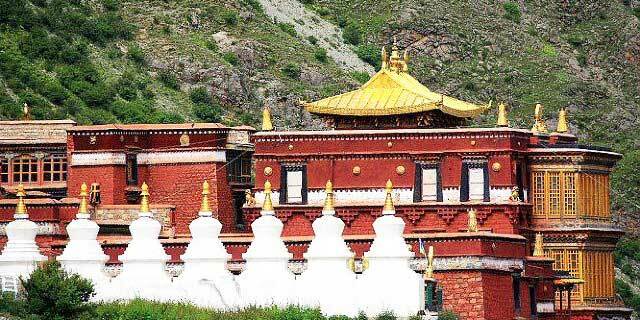 It is located in Gurum in Doilungdêqên District, Tibet Autonomous Region, China, 70 kilometres from Lhasa. 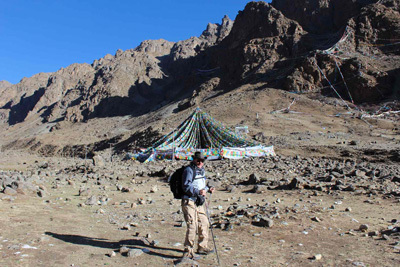 The monastery is about 4,300 metres (14,100 ft) above sea level. It was built in the middle of the valley facing south with high mountains surrounding the complex. Tsurphu is a 300-square-meter (3,200 sq ft) complex with walls up to 4 meters thick. The Gompa, the traditional seat of the Karmapa lamas, is about 28 kilometers up the Dowo Lung Valley on the north side of the river. The original walls of the main building were up to 4 meters thick and 300 meters on each side (90,000 square meters or 970,000 square feet). The monks’ residences were on the eastern side. Nenang Monastery–Nenang Monastery is the seat of the Nenang Pawo, an important tulku of the Karma Kagyu school of Tibetan Buddhism. 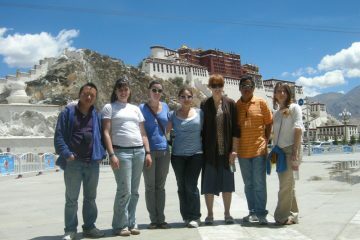 It is much smaller than Tsurphu Monastery. It boasts a large gilded reliquary stupa of the 10th Pawo Rinpoche who passed away in India and, two smaller stupas preserving the relics of the 16th Karmapa and the 5th Pawo Rinpoche. 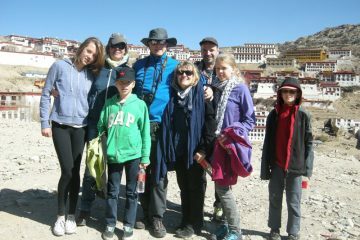 We will drive to a Tibetan family in local vilalge near Doilungdeqen. Doilungdeqen District is a district in Lhasa prefecture-level city, Tibet, north-west of the main center of Chengguan, Tibet. 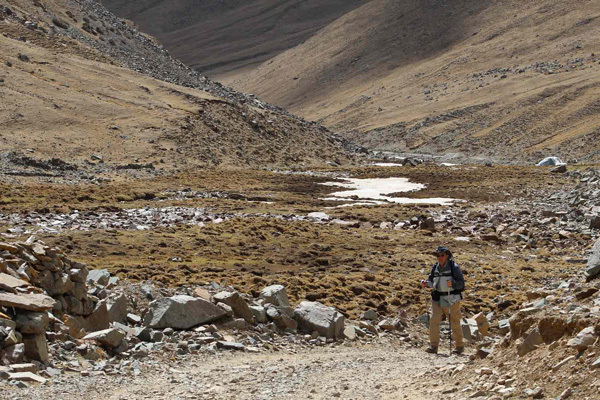 It is largely agricultural or pastoral, but contains the western suburbs of the city of Lhasa. The Duilong River runs southeast through the district to the Lhasa River. A prehistoric site appears to be 3600–3000 years old. 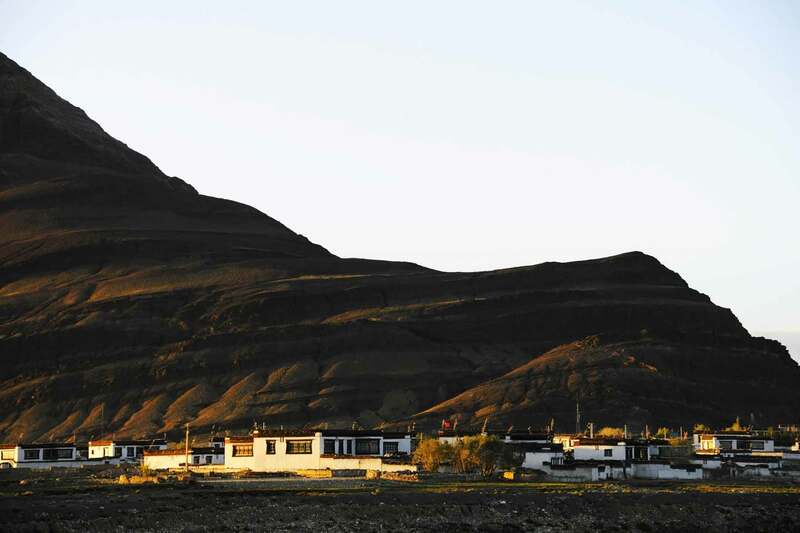 The district is home to the Tsurphu Monastery (1189). 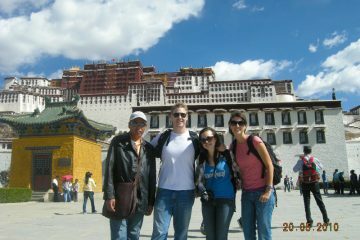 We will have the villager’s daily life experience, see the farmland, animals, help make the Tibetan food at farmer’s home.